President Trump is blaming forest mismanagement for deadly Northern California fires—29 fatalities to date—threatening to pull federal funding. California Gov. Brown calls that “inane and uninformed.” In related news: one OSU professor says there are hundreds of Oregon towns facing similar risks; while another says planting after fire isn’t always necessary. 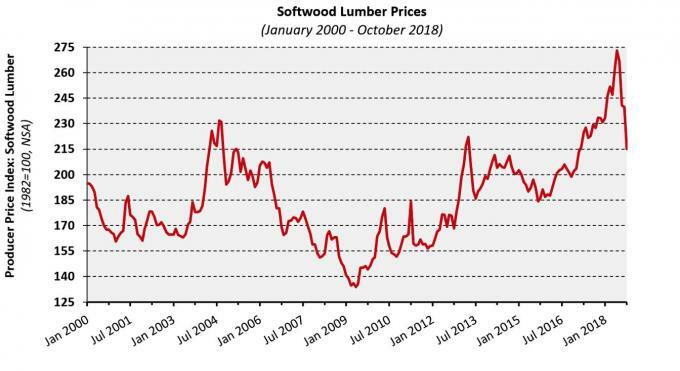 In Business news: October saw double digit price drops for softwood lumber and OSB; Interfor shares fall nine percent; Conifex curtails its Fort St. James mill; Canfor acquires another South Carolina sawmill; and Kalesnikoff finally receives the go-ahead for a new office building. Lastly; BC moves to preserve moose feed by cutting herbicides; and despite climate change, there are still too many polar bears in parts of Nunavut. VANCOUVER — Interfor Corp.’s share price was trading down more than 10 per cent Friday as the company missed earnings expectations amid volatile lumber prices. 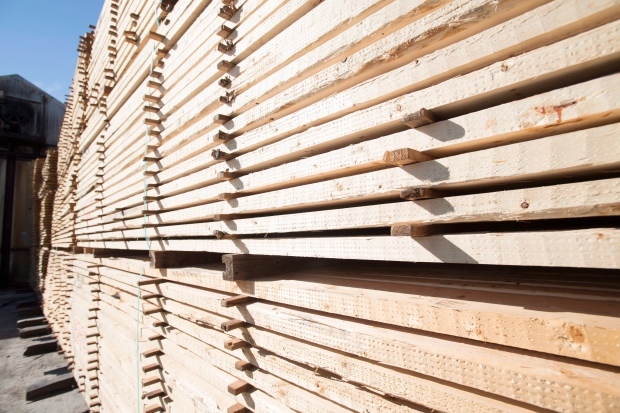 “The dominating feature of the third quarter this year was the drop in lumber prices,” said company chief executive Duncan Davies. …“In our view, the current state of the lumber market makes little sense. The drop we’ve experienced in the last few months is more of an overreaction to an overreaction that occurred earlier this year.” …Meanwhile, cost inflation in labour and materials has led Interfor to indefinitely shelve a new sawmill it was looking to build in the U.S. south, he said. …Davies said the price drop in the third quarter put pressure on earnings, though company profits of $28.1 million, or 40 cents per share were still up from the same quarter last year. Conifex announced they will be temporarily curtailing their operations at their Fort St. James Mill for at least four weeks starting Monday. “We have made the difficult decision to temporarily curtail our Fort St. James sawmill in Q4 due to the combined impact of increasing log costs, deteriorating log quality as the availability of commercially viable mountain pine beetle timber reaches an end, falling lumber prices, and punitive lumber export duty impositions,” says Ken Shields, Conifex’s Chair and CEO. According to Sandy Ferguson, VP of Corporate Affairs and Business Development with the company, recent labour issues are not a factor in the decision to halt operations. She told BlackPress on a phone interview that between 180 and 200 employees are affected by the decision. …Tolko recently curtailed operations at their Quesnel Quest Wood sawmill this October for similar reasons in what is becoming a concerning trend in the regional forestry industry. Kalesnikoff Lumber’s plans for a new office building have hit a few procedural bumps, but the company says it is still planning on going ahead with the project. In order to build the new building, Kalesnikoff had to apply to the Regional District of Central Kootenay for amendments to the Official Community Plan and for a new zoning designation for a portion of its property. The property in question is located in RDCK Area I, across the highway from the company’s sawmill operations, between the Tarrys Fire Hall and Russell Auction. Kalesnikoff’s chief financial officer Krystle Seed, who along with her brother Chris Kalesnikoff make up the fourth generation of Kalesnikoffs running the mill, says the company’s intentions are to provide a better work environment for their employees. The much-heralded United States-Mexico-Canada Agreement will have little impact on Idaho’s lumber industry. That’s the view of Greg Latta, interim director of a policy analysis group at the University of Idaho in Moscow. …The trade deal reached in late September isn’t expected to change that, since it doesn’t contain new provisions for softwood lumber. That’s good news for north central Idaho and southeastern Washington. 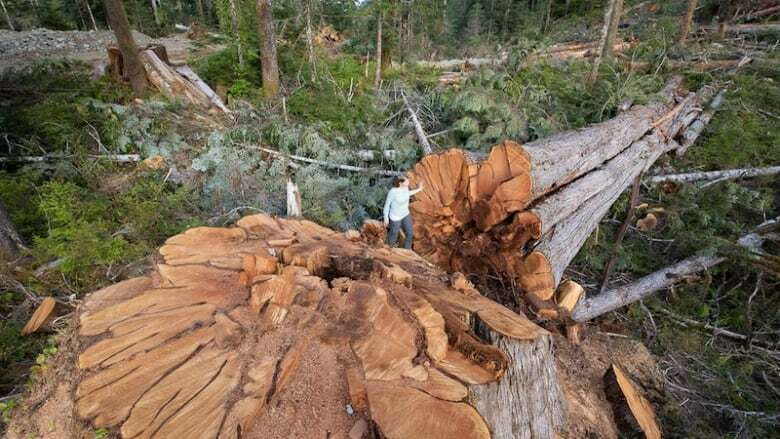 …That industry is benefiting from duties of about 20 percent on Canadian lumber entering the United States, imposed by a U.S. Department of Commerce decision in 2017. …Still U.S. lumber manufacturers are following what happens with Canada closely. That’s partly because the new trade deal that replaced the North American Free Trade Agreement retained a third-party dispute resolution process. ..The more important dynamic to watch is the growing prevalence of Canadian lumber companies in the United States, Latta said. Georgia-Pacific has been a part of the Clarendon County business community since May of 2010, with a fully operational plant since February 2013. After purchasing the Grant Forest Products facility, Georgia-Pacific invested $29 million over the next three years to add infrastructure, catwalks and safety features before going live to produce oriented strand board, or OSB. Today, the plant is the largest OSB facility in the United States and the second largest plant in North America. Capable of producing 850 million square feet of OSB per year, the plant has the infrastructure in place to increase output to one billion square feet per year, although this would require a $20 million investment for additional equipment. To date, no plant has ever produced one billion square feet per year. VANCOUVER – Canfor Corporation announces it has entered into an agreement to purchase Elliott Sawmilling Co., Inc. located in Estill, South Carolina for a purchase price of US$110 million, which includes normalized working capital. The purchase price represents a 4.3 times EBITDA multiple based on Elliott’s twelve months trailing EBITDA. The transaction will be completed in two phases with 49% being acquired on closing and 51% being acquired one year later. Elliott has a production capacity in excess of 210 million board feet and the sawmill consists of both large and small log lines. “We are thrilled to welcome the employees of Elliott to the Canfor team. Elliott has an excellent management team and produces high quality products that will align well with Canfor’s high-value product mix. Nash Elliott will continue as the General Manager after the transaction is completed,” said Don Kayne, President and Chief Executive Officer of Canfor. In October, prices for softwood lumber in the U.S. dropped 10.3% – the largest decline since May 2011, according to the Producer Price Index (PPI) release by the Bureau of Labor Statistics. The producer price index for softwood lumber has fallen 21.2% since setting the cycle and all-time high in June. Even after the decrease, however, the index currently sits just 4.7% lower than the prior-cycle high set in 2004, reported the National Association of Home Builders (NAHB). The final demand price index for OSB has followed a path similar to that of softwood lumber over the last three months. Since climbing 38.1% in the first seven months of 2018, OSB prices have fallen 16.6%. …Residential construction goods input prices increased 0.4% in October and have now risen 7.5% over the last twelve months. The Nuu-chah-nulth Tribal Council says the provincial government needs to do more to protect B.C.’s remaining ancient forests for both cultural and environmental reasons. Nuu-chah-nulth territory on the west coast of Vancouver Island is home to some of the province’s largest remaining old-growth trees. But tribal council president Judith Sayers says the province needs to stop — or at least slow down — the rate at which they are disappearing. “Our whole lives really, and a lot of our spirituality, is wrapped up in the forests,” she said. Nuu-chah-nulth Nations use old-growth yellow and red cedar for traditional purposes, such as canoes, totem poles and long houses. Other nations often come to Nuu-chah-nulth territory for access to ancient cedar because it is no longer available in their own regions, Sayers said. There are too many polar bears in parts of Nunavut and climate change hasn’t yet affected any of them, says a draft management plan from the territorial government that contradicts much of conventional scientific thinking. The proposed plan — which is to go to public hearings in Iqaluit on Tuesday — says that growing bear numbers are increasingly jeopardizing public safety and it’s time Inuit knowledge drove management policy. “Inuit believe there are now so many bears that public safety has become a major concern,” says the document, the result of four years of study and public consultation. “Public safety concerns, combined with the effects of polar bears on other species, suggest that in many Nunavut communities, the polar bear may have exceeded the co-existence threshold.” …The plan leans heavily on Inuit knowledge, which yields population estimates higher than those suggested by western science for almost all of the 13 included bear populations. KENORA, ON – Today, government, private sector and not-for-profit stakeholders gathered in Northwestern Ontario to promote a recent billboard developed under the province-wide It Takes A Forest public awareness initiative. 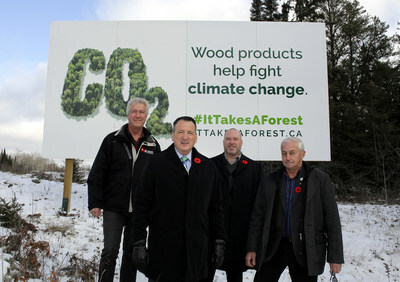 Greg Rickford, MPP Kenora-Rainy River, Minister of Energy, Northern Development and Mines, and Minister of Indigenous Affairs, and Dave Canfield, Mayor of Kenora, joined Erik Holmstrom, Ontario Timberlands Manager of Weyerhaeuser Company Limited and Rob Keen, CEO of Forests Ontario in front of the billboard to acknowledge the pivotal role that the forest sector and sustainably managed forests play in the economic, social, and environmental well-being of local communities. Representing a collaborative effort of over 40 organizations, the It Takes A Forest initiative is designed to increase public awareness of the management of Ontario’s forests through the dissemination of fact-based information. The initiative aims to reach Ontarians across the province with the message that forests are central to our lives. The School of Natural Resources at the University of Nebraska-Lincoln is building a new major all about trees. Eric North, a professor hired initially to design a new major for students interested in trees, is building coursework that centers around urban forestry and arboriculture for the forestry major. …The university hosted a forestry department as early as 1903, participating in the statewide push for tree planting after the Dust Bowl in the 1930s. The forestry degree has been intermittently abolished and reinstated at UNL since then and is now pending approval as a new regional and community forestry major. North said that he’s built new courses that cover different areas in new technologies, horticulture, entomology and water science for the major. PARADISE, Calif. — Thousands of residents in the wooded town of Paradise did what they were told to do when the morning skies turned dark and an inferno raged across the hills: They got in their cars and fled. …tree-lined streets in the town swiftly became tunnels of fire, blocked by fallen power lines and burning timber. …By Sunday night, the Camp Fire had matched the deadliest in California history, the Griffith Park Fire of 1933, with 29 fatalities. Seven of the victims in Paradise died in their vehicles. 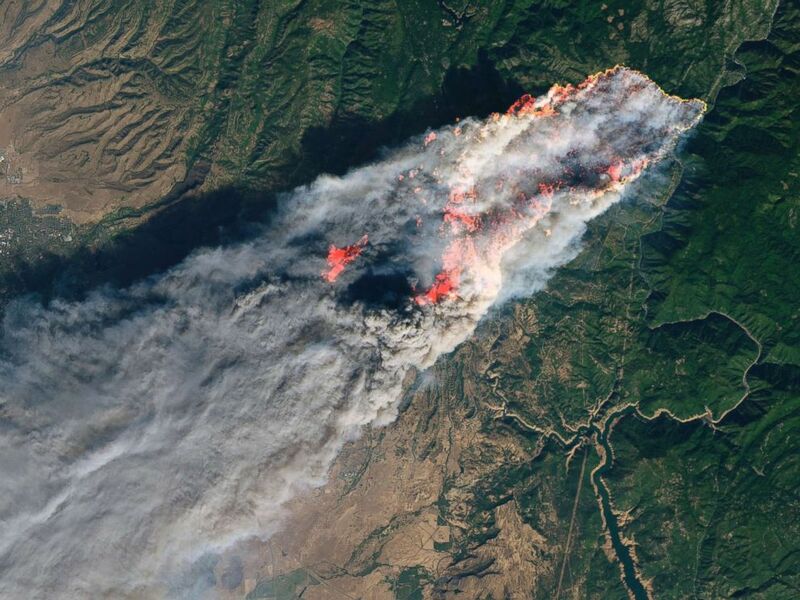 …California was still battling three major fires on Sunday: the Camp Fire, which exploded across 111,000 acres and is still raging in the forests near Paradise, and two fires west of Los Angeles. …“We are really just in the middle of this protracted weather event and this fire siege,” Chief Ken Pimlott said. On a Friday in February, John Formbydrove up Hyde Park Road for a hike with his dogs.Rounding a curve about a mile before the Big Tesuque Campground, Formby spotted a large swath of conifers with a red tinge — a sign the trees’ needles were dying.“I felt there was just something unusual about it,” recalls Formby, an entomologist with New Mexico State Forestry and the person charged with heading the state’s forest health program.The following day, he and two more insect scientists from the U.S. Forest Service hiked to the trees to investigate the cause of the needle kill.What they found was an infestation of Janet’s looper caterpillar, the latest addition to a growing list of deadly enemies of Santa Fe National Forest. New research is offering a way to potentially save money and resources on forest recovery after wildfire. After wildfire season ends each year, land managers start planning what comes next for the areas that burned. 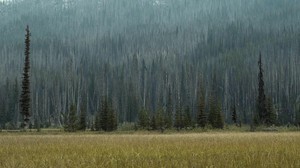 Often, the strategy used to ensure the forests return is to salvage log and then replant. But a recent study suggests that in some areas, it might be just as effective to leave the forest alone. “If the burned patches aren’t too big, that is to say the seed sources aren’t too far away, then the forests do a good job of regenerating themselves,” said study contributor David Hibbs of Oregon State University. 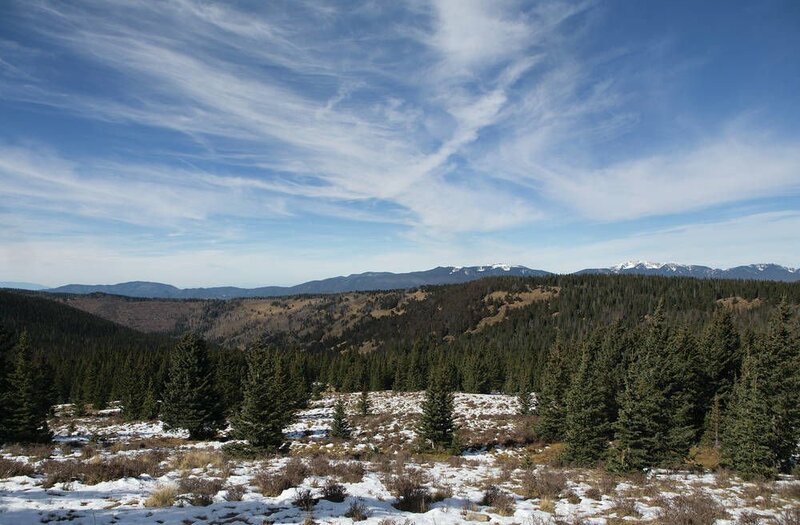 The research provides a relatively clear picture of where forest managers could most benefit from spending the time and money needed to replant — at least in corner of the Pacific Northwest. President Donald Trump woke up in Paris on Saturday in the mood to make threats toward California as it deals with deadly wildfires in Northern California and hundreds of smoldering homes in Southern California. In an angry tweet, the president threatened to pull federal funding for the state if nothing is done to “remedy” the situation. …On Sunday, California Gov. Jerry Brown’s office fired back, calling the president’s tweet “inane and uninformed.” “Our focus is on the Californians impacted by these fires and the first responders and firefighters working around the clock to save lives and property — not on the president’s inane and uninformed tweets,” Evan Westrup, the governor’s press secretary, told ABC News. At least 25 people have been killed this week as flames from the wildfires engulfed their vehicles, homes and neighborhoods in Northern California, authorities said. A person is dead after an incident at a Wairarapa sawmill on Friday morning. 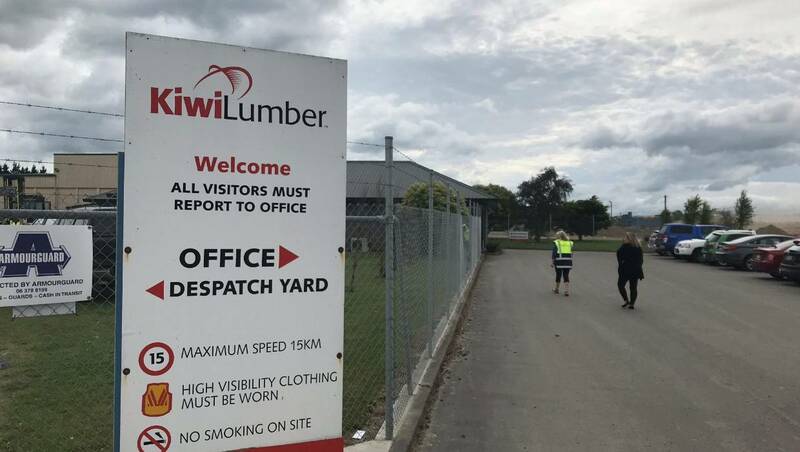 Kiwi Lumber confirmed the incident happened at its mill near Masterton on Norman Ave, Waingawa in the Carterton district. Spokeswoman Liz Read said “the staff and the site manager are extremely traumatised”. The person died at 8.35am Friday, police said. … The circumstances which led to the worker’s death have not yet been publicly released. … According to Kiwi Lumber’s website, the sawmill is “a structural mill focussed on producing framing timber primarily for domestic construction”. …WorkSafe said it was notified of the fatality and was investigating.